Seals are washing up on New Jersey beaches by the dozen, according to reports given to the Marine Mammal Stranding Center in Brigantine, N.J. There have been 26 seal strandings in New Jersey since November, sources say. Fourteen of those strandings happened in February. While it is not unusual for seals to get stranded this time of year, there are more than usual showing up on Jersey shore beaches, according to a spokeswoman for the Brigantine center. The gray and harbor seals found on the beaches are malnourished and have parasites, authorities say. The Marine Mammal Stranding Center is housing 11 seals right now -- making the center two-thirds full. Many are suffering from respiratory infections and parasites, officials say. One seal came ashore on Island Beach State Park Saturday, but slipped back into the waters off Seaside Park, reports the Star Ledger. The reason for the increased number of seals stranded is still unknown but officials familiar with the investigation believe that global warning could be playing a role in the harp seals becoming stranded. Folks at the Marine Mammal Stranding Center are asking for the public's help in recoveirng some of the costs (food, medicine, etc.) for caring for the seals. Anyone who wants to help can help "Adopt-a-Seal" by clicking here. Also, they put out a PSA to help educate the public about what to do if they see a seal on the beach -- the tips include calling the center ASAP at (609) 266-0538 and staying at least 50 feet away from the animal. Californian fishermen and harbour chiefs were puzzled after millions of dead anchovies were found floating in a marina just south of Los Angeles on Tuesday. Experts said the fish, found at a harbour in Redondo Beach, may have died from lack of oxygen due to algae, while locals wondered if high winds overnight might have something to do with it. "It looks like what happens to goldfish when you don't change the water in the tank, mouth open and belly up," said local official Bill Workman, cited by the Los Angeles Times newspaper. "There are no visible signs of any toxins that might have caused (the deaths) and our early assessment is that this was oxygen depletion," he said, adding: "There are no oil slicks or leaking of substances into the water." Locals at Redondo Beach, where the stench from the dead fish hung over King Harbour, suggested that high winds could have driven the fish into the harbour, where their sheer numbers would have reduced the oxygen available. Experts were cautious. "What we're trying to tease apart is whether it's a consequence of algae build-up, a fish build-up or something toxic in the water," said David Caron of the University of southern California. It is a stinky and scaly situation in River Rouge as thousands of dead fish were discovered floating along the shoreline. The smell has been described as almost unbearable. Viewers were so concerned they called FOX 2. "I eat fish out of this river. I fish there. My nieces and nephews fish out of this river and ate out of this river," said Guy Cason. "I'm concerned. I'm concerned about their well-being." The Michigan Department of Natural Resources says this is a natural occurrence called a "fish die off". The fish are called "gizzard shad". They are a weak species that easily dies off in cold weather. It's likely they were dead under the ice for some time. Here's the bad news. We're told it's up to the property owner to clean up the dead fish. Lazen we net dat Willem Alexander is uitgenodigd om te komen kamperen op een Groenlandse ijskap. Om samen met aanwezige milieubollebozen te kijken hoe snel die kap smelt. Wat denk je wat er gebeurt? Spoelt er meteen een hele reeks dooie walvissen aan. Lees maar even, anders denkt u weer dat we uit onze adamsappel staan te lullen. Zouden die walvissen niet van oranje houden? Of zouden ze aan Willem duidelijk willen maken dat de kwaliteit van het Groenlandse zwembad ook niet je dat is? Wij blijven deze zaak scherp in de gaten houden. Stay ... in the sun with a large glass of beer. Local hunters in Greenland have reported seeing an unusual number of dead and stranded large whales along Greenland coasts, with no indications of an immediate reason for their deaths. In one sighting, a pod of eight large but unidentified whales, which was seen alive in late March, was later seen dead north of Sisimiut and with decaying carcasses eventually seen floating among ice floes further north. Other reports had been received of a humpback and a sperm whale that had beached in separate areas. Both of these animals had died recently and were not in decay. “It has unfortunately not been possible to get further information about the sightings and we have not been able to get samples or photographs of the dead whales,” the Greenland Department of Fisheries, Hunting and Agriculture said in a release Monday. The department said it was working closely with the Greenland Nature Institute in order to get further information that could give some indication as to why the whales had died. It added that the reason for the deaths could largely be put into three categories. External reasons, including killer whale attacks, a collision with a vessel or fishing nets wrapped around the body; seismic oil prospecting or military sonar activity in the region or finally death from sickness. The department says, however, that there have been no reports of large numbers of dead animals of other species either in Greenland waters or in neighbouring countries. An alarming number of sick, dying and dead leopard sharks have been turning up on the shores of Richardson Bay over the past two weeks, but researchers are baffled as to what is causing the problem, observed elsewhere in the Bay Area as well. The period of April through June is when leopard sharks enter shallow waters, like those in Richardson Bay, to spawn. This year, some are not leaving. "I first noticed one April 10, it was acting bizarre," said Kerry Wilcox, sanctuary manager at the Richardson Bay Audubon Center and Sanctuary. "It was bumping into pilings and stranding itself on rocks and was coming into water that was shallower and shallower." Wilcox assumed it was an isolated case, but he then heard of similar issues with leopard sharks near Redwood City later in April. In less than two weeks, as many as 50 leopard sharks washed up dead near Redwood City. Starting May 2, Richardson Bay Audubon Center and Sanctuary researchers began to scour beaches along Richardson Bay after high tide. Since then, more than 20 have turned up dead. "The leopard sharks are here this time of year anyway, but we don't know if that's why we are seeing dead ones or if they are being washed here," Wilcox said. "There are all sorts of questions." Last week, Liz Beers and her mother were walking near Greenwood Cove near the Cove Apartments in Tiburon and saw five leopard sharks that had beached themselves. 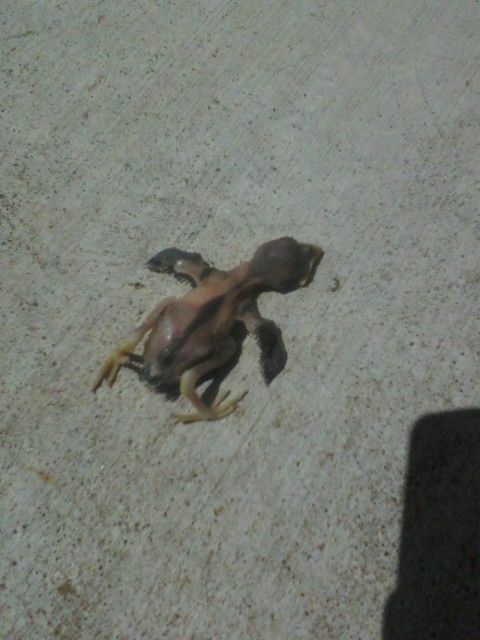 More Dead Birds. With a Twist? I have, what I believe to be, a very odd case of mass bird deaths happening in the Northwest Arkansas area. The birds affected seem to be robins. I say seem to be because it is hard to tell. They are all babies. Baby birds who are too young to even have feathers, for the most part. I first noticed the birds on Tuesday, I believe, of this week on a jobsite. I had left the house I was working on to make a trip to Lowes and when I came back two baby birds had apparently fallen from their nest in the big oak tree in the front yard. Landing right in front of where I had parked my truck. Now these birds were not there when I had left only 20 minutes before. I know this because I had to step over them when I was walking back into the house. Furthermore, they were stone dead. I did not get any pictures of these two birds and really didn't think much of it until yesterday, Thursday. Yesterday my girlfriend was walking home from picking her daughter up at preschool and shot me a text message telling me about all the dead birds next to the building. Curious, I asked her to tell me more about it and she relayed that there were six dead baby birds strewn about the sidewalk near the building, and then I started wondering what was going on. 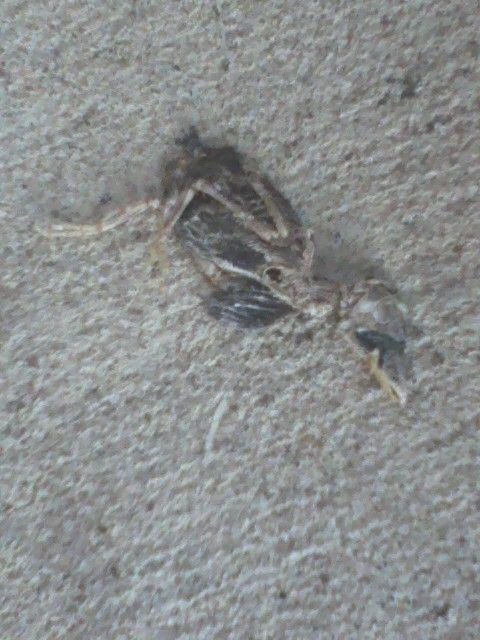 It was only today that I started trying to actually investigate things a little because once again Kay told me today that there were even more dead birds outside the building. Ten or so in total now, and at least one of them had appeared there within a span of three hours today. So, I asked her to snap a few photos and went over myself when I got off work. 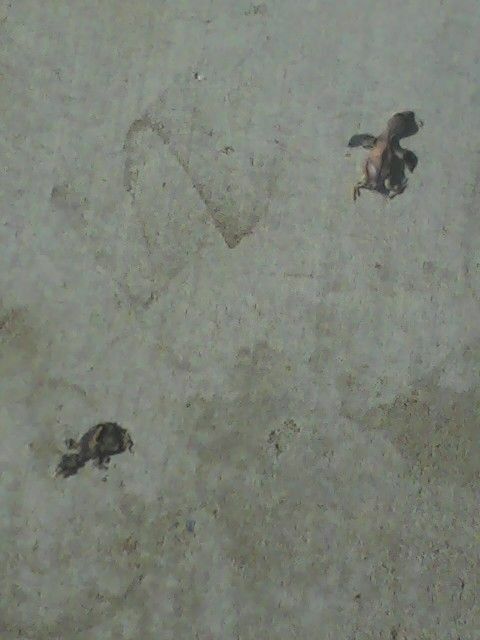 These birds appeared to be dead before they hit the ground. I say this because a baby bird falling from a nest at the height of ten, or even twenty feet, isn't going to die on impact. I believe they are dying in their nests and their mothers are throwing them out. None of the other birds in the area are concerned about them at all. No swooping my head as I walk amongst their dead young. No other animals will have anything to do with them. No ants. No beetles. Cats aren't dragging them off. They are just sitting there decomposing. Blueish colored heads. Even on the ones that are recently deceased. Very noticeable in person. You will have to excuse the rather poor quality of the photos. So anyhow, has anyone else noticed any of this going on? If not, people may want to start looking. I do not believe this to be an isolated incident. Especially not with all the other birds dropping from the sky. I will continue to keep my eyes peeled and if I find more I will include them here. Here are some of the pics I have of the birds so far. Thoughts? This is a picture of the general area several of these have been found. 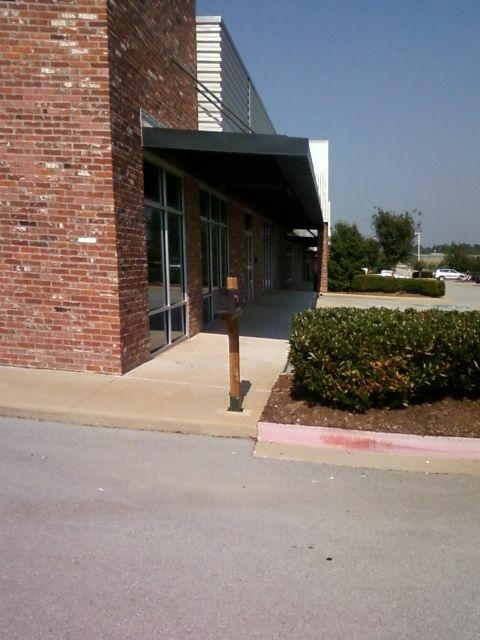 That awning serves as a nesting area to several robins. This is a closeup of one of the baby birds. 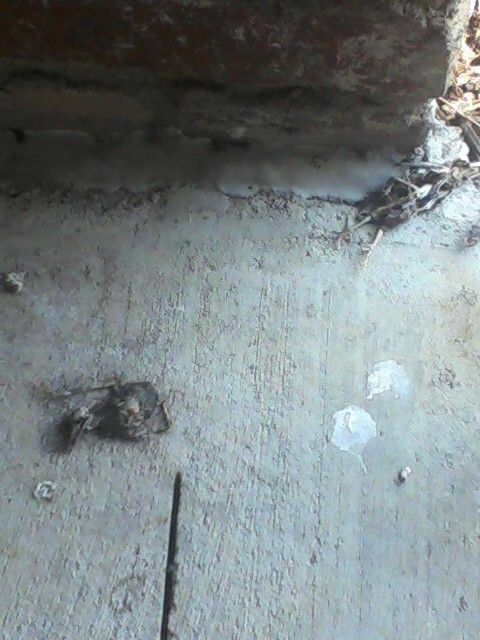 As you can see there is some severe discoloration around the head and these birds are much too young to be taking their first flight and just falling to the concrete below. Two near eachother. One very recent the other has been there for a little while. Amazed that they aren't being drug off by cats or something. And finally this one. This bird has apparently been there for awhile now. Yet there it remains. Nothing has taken it off. It is like nothing wants any part of these birds. I believe they are dying in their nests and being thrown out like trash by their mothers. Likely due to some sort of illness. Kinda dissettling. ABOUT 600 dead penguins have washed up on Uruguay's Atlantic coast over the past few days. Experts are trying to determine what has killed the animals. A navy statement says the latest batch is 200 dead Magellan penguins discovered on the shore at La Paloma about 200km east of Montevideo. A marine animal rescue group previously reported that the carcasses of 400 Magellan penguins washed up around the resort town of Piriapolis along with dead turtles, dolphins and albatrosses. The resort is about halfway between Montevideo and La Paloma. Experts say it is common for dead penguins to appear in the area at this time of year, but the extent of the die-off appears to be unusual. Vogels lijken mij het mussen verhaal.. Te warm.. Te weinig airconditioning, welleens gehoord dat de US er op leefde. BP.. ? :sick: Wat als er een diamond tipped speer de grond raakt? From Louisville to Cincinnati to Dayton to Cleveland, beginning yesterday afternoon there have been thousands upon untold thousands of earthworms coming out of the ground which have subsequently ‘fried’ on the surface from the rays of the sun. Some local mainstream media outlets are reporting that the cause of the earthworm die-off is from heavy rain or acidic soil. The problem is, some of the reported areas have been dry, and certainly not all of Ohio soil has suddenly become ‘acidic’. Another explanation is that it is mating season for earthworms (the Spring), when they often come out of the ground and get trapped on the concrete or hard surfaces, and eventually die from the sun’s rays. The thing is, I don’t recall having heard of this kind of mass earthworm doom-and-gloom occurring on such a wide scale, and found it interesting given the fact that so many other animal die-off’s have been reported during this past year. Using logic to try and determine why so many worms have died across such a wide expanse of land, nearly all at the same time, I ask myself, what makes a worm come out of the ground? I’m not a worm expert, but, do all the earthworms within a 300 mile region suddenly get ‘the urge’ at the same time?? Could it be some mysterious electrical current within the ground that is zapping the worms up to the surface? Or could it be earth tremors, low enough in frequency but enough to ‘frighten’ the worms out of the ground? Who knows… but it is a phenomenon of interest due to the wide geographical range of occurrence. 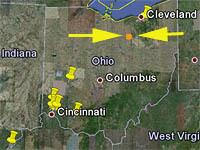 Who would’ve thought… and earthquake in Ohio?? It may be that the earthworms there knew something. Or, maybe the explanation remains waterlogged soil throughout the State? There has been some comment regarding the ground water aquifer in Ohio, being similarly located along the ‘worm-kill’ zone. 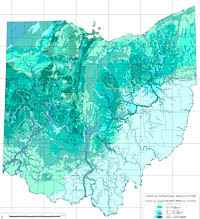 Here is a map with the blue color indicating available ground water. WASHED UP: Lyall Bay is littered with thousands of sea creatures. The identity of a mystery clump of alien-like creatures found beached in Lyall Bay yesterday has puzzled experts. Thousands of the tiny creatures were spotted washed up yesterday afternoon. The transparent creatures with black eyes and little legs could be from deeper water as they were darker than what is normal for intertidal species, a Niwa spokeswoman said. Auckland University associate professor Mark Costello said the creatures could be either Phronima or Hyperia amphipods. Phronima lived inside salps - gelatinous animals that float in plankton - and fed on their innards while using the tube for their home. Hyperia live inside jellyfish. Both swam through the water using their back legs and despite their gruesome appearance were harmless to humans. "I wonder if the maker of the movie Predator had seen them as they could inspire some good sci- fi," Mr Costello said. But Victoria University PhD student Lisa Bryant said it appeared to be a Themisto australis, which is the only species found in coastal mainland New Zealand. They formed in dense swarms and other strandings had been reported in places such as England and Canada. Themisto were some of the top predators in the plankton community, she said. Mr Costello said such a beaching was unusual and the creatures were probably washed ashore by the wind. Their eyes and legs were too large for sandhoppers. Have you seen these on the beach? Tell us what you think by leaving a comment below. Gisteren weer deze docu bekeken moet gelijk denken aan al die dieren die dood gaan. Josh Fox kreeg in 2008 door een gaswinningsbedrijf $100.000 pacht aangeboden voor zijn land en ging zich verdiepen in de mogelijke gevolgen. In de film spreekt Fox met mensen die bij winningsgebieden wonen. Zij klagen over giftige dampen, ziektes, verlies van reuk- en smaakvermogen, pijn en hersenbeschadiging bij mensen en massale sterfte bij vogels, vissen en andere dieren. Het drinkwater is vertroebeld en een aantal mensen toont dat een brandende aansteker bij een stromende kraan een steekvlam oplevert. De bij winning gebruikte chemicaliën worden door de industrie geheimgehouden. Wilma Subra, winnares van de Mc Arthur Genius Award, vertelt in de film dat de winningsgebieden verontreinigd zijn met arsenicum, cadmium, chroom, lood en barium. Fox verzamelde watermonsters, liet die analyseren en vond ernstige verontreinigingen. Zoals op deze kaarten is te zien, zijn er ook in Europa grote hoeveelheden schaliegas te vinden. In april dit jaar publiceerde de Energy Information Administration van de VS een rapport over schaliegas wereldwijd. Het ontketende zeer enthousiaste reacties in verschillende landen en bij energiebedrijven. Polen is de meest enthousiast voorganger op schaliegas-gebied en hier zijn ook de meeste schaliegasreserves gevonden. Er hebben zich 22 verschillende bedrijven gemeld om het onconventionele gas te winnen in Polen. De reden voor het Poolse enthousiasme heeft te maken met hun grote afhankelijkheid van Rusland voor de energievoorziening op dit moment. Europa in geheel is voor 25 procent afhankelijk van Russisch gas en Polen voor maar liefst 65 procent. Toegang tot de eigen schaliegasreserves kan deze afhankelijkheid doorbreken. Van een land dat draait op aftandse kolencentrales en geïmporteerd gas, zou Polen zo maar eens een van de grote energieleveranciers van Europa kunnen worden. Volgens analisten zijn de schaliegasreserves gigantisch. In cijfers zou het om 3 triljoen m2 gaan, wat neerkomt op ongeveer 200 maal de jaarlijkse gasconsumptie van het land. In Polen zien ze het wel voor zich. Bezwaren over de schadelijkheid van de gaswinning worden aan de kant geschoven. Het Ministerie voor Economische zaken in Polen gaat zelfs zover te zeggen dat er absoluut geen aanwijzingen zijn voor enige schade aan het milieu door schaliegaswinning. Ook in Duitsland en Groot-Brittannië zijn er proefboringen begonnen. Maar in Groot-Brittannië zijn de proefboringen door het bedrijf Caudrilla onlangs weer stilgelegd na aardbevingen bij Lancashire, bij het winningsgebied. Voor men doorgaat met de boringen, wordt onderzocht of de aardbevingen door het hydrolisch breken veroorzaakt worden. Er gaan stemmen op om het fracking te verbieden en er wordt deze maand een protestkamp, ‘Camp Frack’ tegen de onconventionele gaswinningmethode georganiseerd. In Duitsland heeft men ook zijn bedenkingen. Er zijn al bedrijven aan de slag met proefboringen, maar na een zeer kritisch Europees rapport over de consequenties van schaliegaswinning denkt de regering erover een moratorium op de onconventionele winning te leggen. In Frankrijk is onlangs tot zo een moratorium besloten. Men vond de ecologische risico’s onwenselijk. Wel opvallend is dat Frankrijk voor een groot deel op kerncentrales draait. Daarbij wordt er zelden gelet op de risico's of het effect voor het milieu. De vraag is dus of de schaliegaswinning werkelijk wordt tegengegaan vanwege de ecologische risico's of om de nucleaire industrie te beschermen. Maar ook New York besloot tot een moratorium - wat toch wel iets zegt over de risico's. Ook in Nederland wil het bedrijf Cuadrilla proefboringen gaan doen, in Haaren en in Boxtel. De energiesector is enthousiast, de minister ook, maar bewoners maken zich zorgen. Er is een platform opgericht tegen de boringen, SchalieGASvrij Haaren. Lees ook een artikel verschenen in het Brabants dagblad waarin wordt uitgelegd waarom schaliegaswinning een slecht idee is. Volgens de gasindustrie is het onmogelijk, volgens de EPA, het milieuagentschap van de Amerikaanse overheid, gebeurt het toch echt: boringen naar schaliegas vervuilen het drinkwater. De EPA baseert zich op een onderzoek naar waterbronnen in Pavillion, Wyoming, in de VS. Dit is de eerste keer dat er een onderbouwde link wordt gelegd tussen schalieboringen en vervuiling van drinkwater. Eerder al had de EPA het giftige benzeen en andere koolwaterstoffen in het water van Pavillion aangetroffen. In een nieuw rapport wijst de organisatie het boren naar schaliegas als bron aan. Bij schaliegas boringen, ook wel “fracking” genoemd, worden grote hoeveelheden water met chemicaliën de grond in gespoten, om gas uit schaliegesteente te winnen. Natuurlijk krijgt het rapport de nodige tegenwind. Een Republikeinse senator noemde het onderzoek onderdeel van Obama’s “oorlog tegen fossiele brandstoffen.” Een woordvoerder van een van de gasbedrijven in Wyoming suggereerde dat de EPA monsters gebruikte die op een andere manier besmet waren. De EPA benadrukt dat de conclusies specifiek voor Wyoming zijn, en mogelijk niet van toepassing zijn op andere locaties. Wel is de organisatie bezig met een landelijk onderzoek. LITTLE ROCK, Ark. (AP) — Thousands of dead blackbirds rained down on a town in central Arkansas last New Year's Eve after revelers set off fireworks that spooked them from their roost, and officials were reporting a similar occurrence Saturday as 2012 approached. "It's just got to be a pain in my career," Beebe Police Chief Wayne Ballew said. Prior to this New Year's Eve, Ballew said he wouldn't be surprised if people sit out on their front porches in case the winged creatures fall from the sky again. "I guess we could have an annual blackbird watch," he said with a laugh. "People can just bring their umbrellas, open them up and walk through the neighborhood and hope they don't get hit." Charles Moore didn't plan to have an umbrella at the ready, but said he would have his camera out on New Year's Eve. Last year, he drifted off to sleep before the ball — and birds — dropped. "When we got up on New Year's Day and walked out to get the paper, we saw all the carnage out there," he said. "So we thought we would be on the watch for it this time." 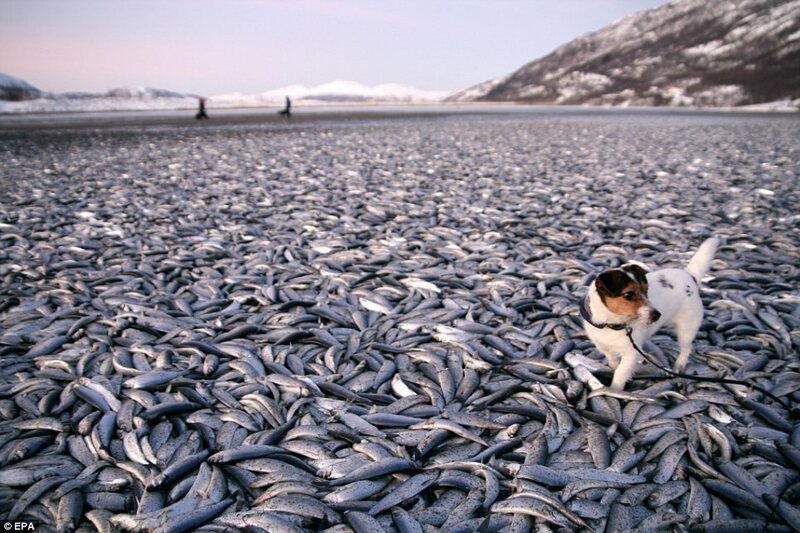 Mystery of the DEAD herring: What made 20 TONNES of fish wash up on Norwegian beach? Thousands of dead herring have been discovered washed up on a north Norwegian beach – prompting Doomsday predictors to hail it as another sign the world is set to end. More than 20 tonnes of the fish is currently carpeting the beach of Kvaenes, in Nordreisa, with experts views differing on how they have come to be there. One thing is for sure, it will provide welcome ammunition to those believing the Mayan prophecy that 2012 will bring the end of Earth. Jan-Petter Jorgensen, 44, was walking with his dog Molly when he found the stinky haul. Experts have said the school could have been trapped by tidal waters after predatory fish – such as coalfish – chased them towards the shoreline. Another theory is that the fish were washed ashore during a recent storm, or trapped in shallow waters and affected by freshwater from a river that flows into the bay. Jens Christian Holst, of the Institute of Marine Research, said several factors could have come together at once. And he said he hoped they would be able to conduct tests on the dead fish to see if they had died of a disease. The incident in Norway is not the only mass death mystery over the New Year. On Sunday, 200 blackbirds mysteriously fell from the sky in a small Arkansas town – although officials now believe the birds were targeted by someone with fireworks, experts say. Last month 25 dead horses were discovered at the bottom of a cliff near Glenn Innes, New England. And similarly bizarre and unexplained massacres took place on the opening days of last year, with millions of spot fish washing up in Chesapeake Bay, Maryland, more blackbirds dying in Arkansas, and masses of marine life dying in a Louisiana bayou.